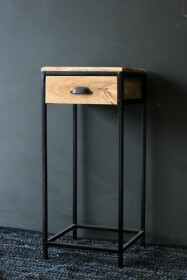 Everyone at RSG loves this Industrial Bedside Table! 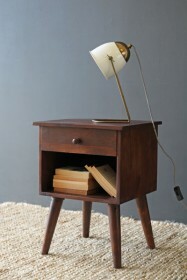 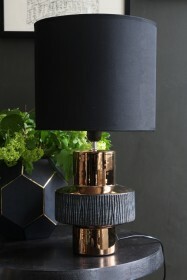 A chunky, industrial style piece, the bedside table also works really well as a side table in a living room. 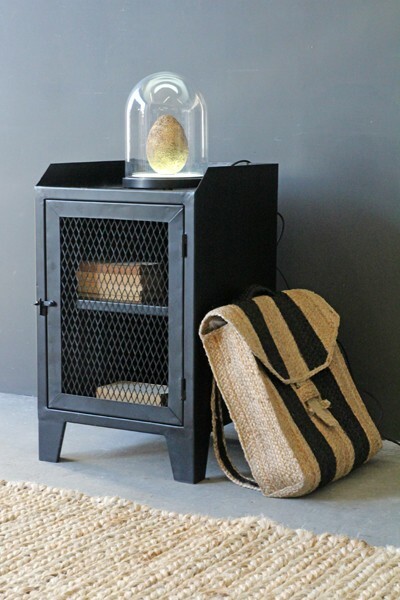 The mesh door is a great industrial detail and adds a lighter touch to the heavy style of the bedside table. 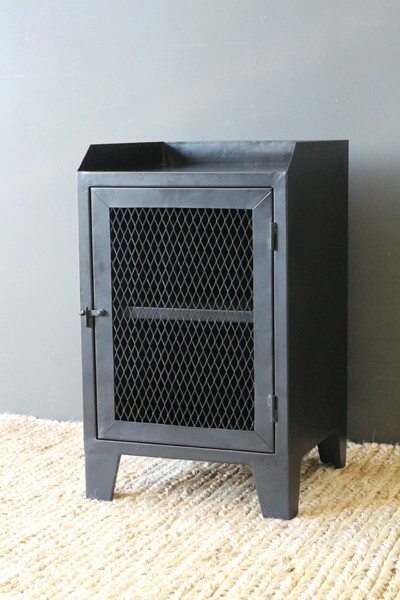 The industrial style of this product means that they do not have a perfect finish and all vary slightly but we guarantee the quality is fantastic and each table will be unique to you!